We’re a proud sponsor and supporter of Community Food Centres Canada (CFCC), and we’re excited about their new partnership with Le Creuset as their Official Cookware Partner! Le Creuset will be outfitting all existing and future CFCC centres with its full line of cookware, bakeware, dinnerware and accessories. They will be used in community meals, kitchens and food education programs to promote cooking skills and healthy lifestyle choices to people of all ages. “As proponents of good food and community, we are proud supporters of the work of CFCC, which tries to ensure that everyone has access to enough good food for a healthy life,” said Raffi Kouyoumdjian of Le Creuset. 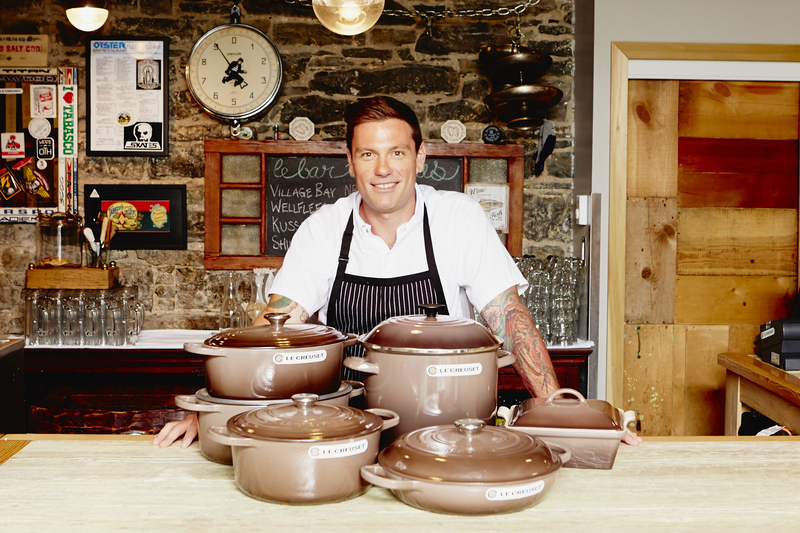 In recognition of this important partnership, Le Creuset has collaborated with celebrity Chef Chuck Hughes to help promote a limited edition Mini Cocotte Gift Set to help generate awareness. This gift set will be available at fine kitchen stores across the Canada, including Le Creuset’s flagship stores in Sherway Gardens (Toronto), Carrefour Laval (Montreal) and Chinook Centre (Calgary). Chef Chuck Hughes has also contributed his favourite recipes through a step-by-step recipe app “Deep Dish” included as a free bonus with each gift set. Le Creuset will use proceeds from the sales of the gift sets to help equip the planned 15 Community Food Centres across Canada over the next five years in its role as Official Cookware Partner. We’re thrilled to see an iconic brand such as Le Creuset and a celebrity chef like Chuck Hughes to hop on board and help sow seeds of change. 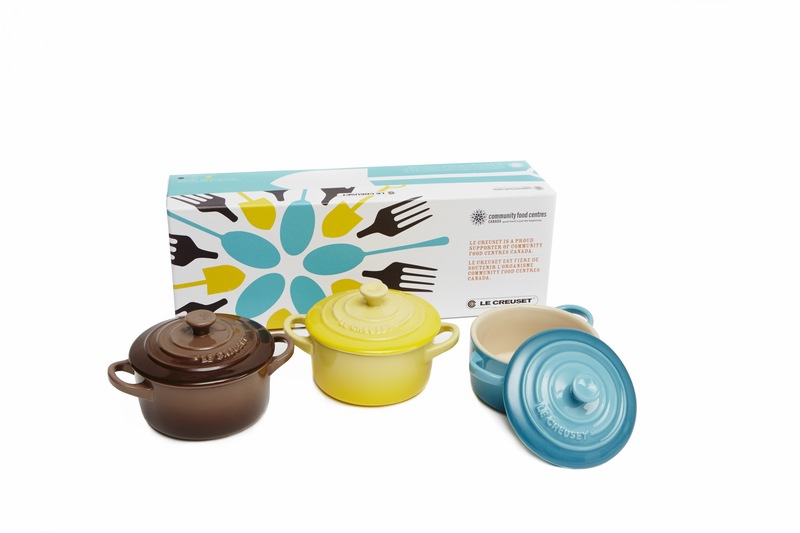 In celebration of this partnership, we’re giving away 2 Le Creuset limited edition Mini Cocotte Gift Sets! Enter to WIN here.